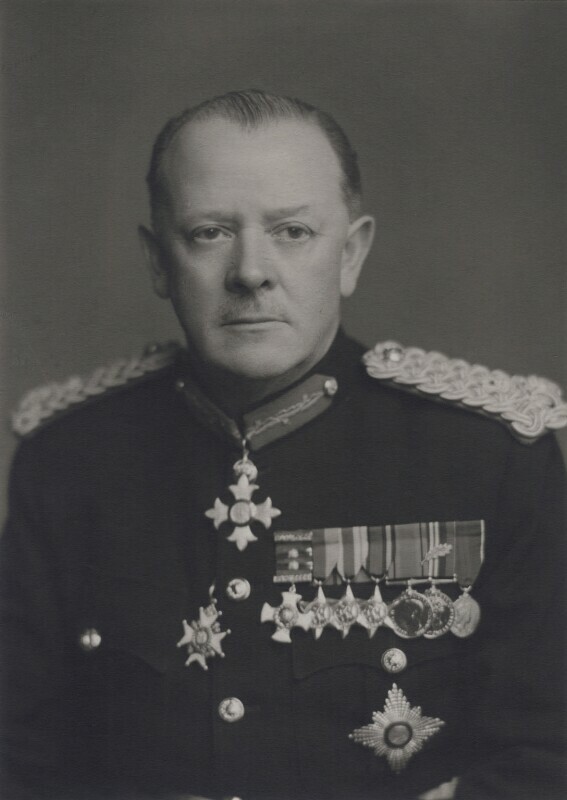 Sir Geoffrey Charles Evans (1901-1987), Army officer and writer. Sitter in 4 portraits. The first supermarket opens in Britain. Inspired by the new innovation in America, Jack Cohen opened his first Tesco supermarket in Essex. The First Clean Air Act is passed in response to the 'Pea Soup' smog over London. Pop Art is seen for the first time in the This is Tomorrow exhibition at the Whitechapel Gallery. The exhibition included Richard Hamilton's iconic collage: What is it that makes today's homes so different, so appealing? John Osborne's play Look Back in Anger opens at the Royal Court Theatre, introducing the phrase 'Angry young man' to describe the new movement of gritty, post-war realism in literature. The Suiz Crisis rocked Eden's premiership and marked the decline of British world power and influence in favour of America. In 1956 President Nasser of Egypt nationalised the Suez canal. Although Britain and France, who had owned the canal since the 19th century, invaded Egypt, they were soon persuaded to withdraw by US President Eisenhower who disapproved of the occupation.